Ripley’s Aquarium of Canada – Adventure Review! My 5 year old has Autism. He is the loveliest, happiest little guy – and he lights up our lives. He teaches us so much every day about how to enjoy life – and he brings out the best in his big sister! Autism Ontario puts together some wonderful programs for families to attend. It is so nice to go to an event knowing the staff are expecting kids who don’t necessarily behave or react the same as ‘neurotypicals’. 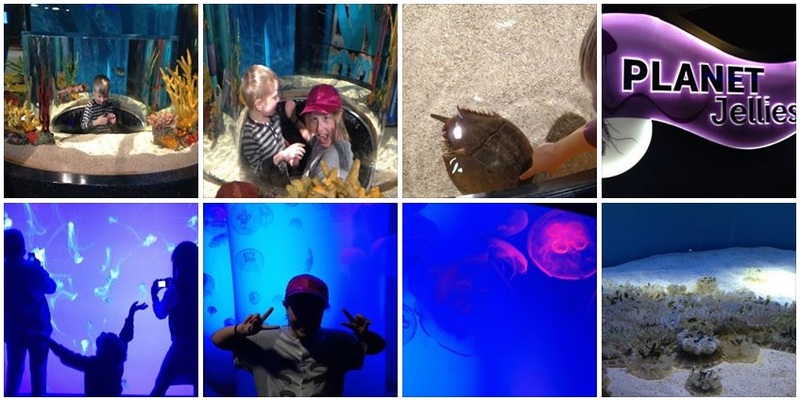 🙂 Ripley’s Aquarium of Canada partnered with Autism Ontario for their first “Sensory Friendly” evening on Sunday, April 19th. We registered and received a 4pm-5pm entry time. We arrived right around 4pm – just as the Blue Jay’s game was letting out. Ripley’s Aquarium is right under the CN Tower and right next to Rogers Centre. This meant there was a LOT of parking suddenly becoming available. We parked at a lot just off of Bremner Boulevard – the rate was about $24 for the ‘day’. We could have saved by parking elsewhere, one resource I looked at before heading out was this: http://toronto.bestparking.com/destinations/cn-tower-parking/ But in the end, I just wanted to be close by and we didn’t have to pay for our Ripley’s Admission so it seemed ‘worth it’. After checking in, we visited the washrooms. My son is on a potty training routine and the toilets at Ripley’s were ‘auto flush’ which scared him – so no successes while we were there. Both kids loved the initial fish tanks that were around to explore. My son tried to count the fish in one tank (over 1,000 – not sure he can count quite that high yet, so we moved on). So much for the kids to see and do! One of the first really cool things we saw – reminded us we were at a RIPLEY’s – inventor of the “Believe it or Not” series – check out this YouTube video I found! Fleshy Sea Pens! After the Shark tank, there was so much for the kids to do and explore! There were snack bars, slides, horseshoe crabs to touch and sharks to pet. 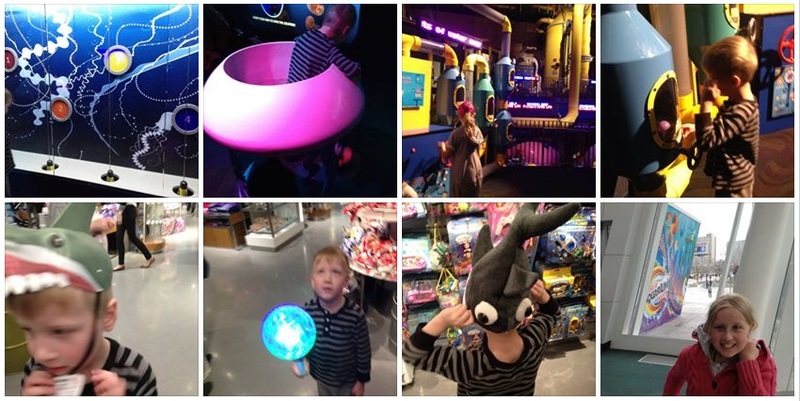 My favourite area was “Planet Jellies” – truly an out of this world experience! The kids had a blast and it wouldn’t be complete without an “Exit Thru the GiftShop” – my 11 year old picked a stuffy Jellyfish to hang from her ceiling. It will definitely remind us of a great day! P.S. Want to try to win tickets? This contest from DurhamRegion.com ends May 3rd, 2015 – enter here. ParentSource.ca has a contest to win Ripley’s Passes and another for a CN Tower experience ending April 30th, 2015 – check out their current contests here! Good luck! I can’t wait to go with My kids! So much fun! We went there a year ago and we all loved it! I have not been yet but I really want to go now!